We are in a “Digital Revolution” as futurist Ray Kurweil stated in a recent interview. With machine learning, artificial intelligence (AI), and cognitive computing enabling everything from Apple’s new IPhone X to autonomous driving vehicles, it’s hard not to talk about the technology. And considering the herculean effort to construct and configure the tools, it’s hard to fault them for doing so. Unlike the latest wave of technology innovators like Uber and NetFlix who disrupted industries and business models, this “Forth Industrial Revolution” brings with it a healthy dose of personal disruption. From robots to artificial intelligence, it has the potential to impact everything from how we work to how we live our daily lives. And with that comes some very real concerns about the future and our privacy. 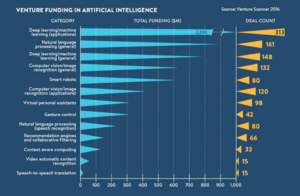 In fact, the technologies receiving the highest amount of investment are those that are focused on making machines more “human.” According to Venture Scanner, deep learning, natural language processing and image recognition make up the top three funding categories within AI. Kurweil believes that we are only 11 years away from passing the “Turing Test,” the measure that determines if humans can detect the difference between a human or a machine. Unfortunately, what may get lost in the noise is the great potential of this new generation of technologies. Autonomous vehicles are predicted to save 30,000 lives a year from traffic accidents. Robots are being programmed to help give the disabled more independence. Advancement in the diagnosis and treatment of certain types of cancer are already being seen and some believe that AI could lead to the end of cancer within our lifetime. Why isn’t the focus on the benefits of these new technologies rather than on the concerns? Professor Theodore Levitt, a former professor at Harvard Business School in the 60’s may have the answer. Levitt was a thought leader in sales and marketing but may best known for the phrase “People don’t want to buy a quarter-inch drill; they want a quarter-inch hole.” The abridged version “Sell the hole, not the drill” has been uttered by sales managers for decades and it’s particularly relevant for the latest wave of new technologies. We’re in the early stages of this “revolution” so much of the talk is about the “drill.” Explaining the process of building the “drill” is necessary for audiences like investors or partners. It’s also aimed at potential users/customers in hopes they will be able to define the holes to be drilled. The tricky part for marketers is that there are parts of the drill that have the real potential to threaten or scare audiences. This is the tightrope technology marketers are going to have to walk for the foreseeable future. In order to develop the apps (the “holes”) marketers need to find and convert early adopters. The messaging that appeals to that audience may put others on high alert. It’s a classic “Crossing the Chasm” challenge as described by Geoffrey Moore. Early adaptors, as described by Moore are comfortable with risk. Unfortunately, when things go wrong, like Google’s DeepMind experience with UK’s National Health Services where their initial work on mobile apps was found to have violated the UK’s patient privacy laws, it makes the “Chasm” grow between the early adopters and the early majority. Here’s the learning for marketers, one of the four characteristics of visionaries that alienate pragmatists (Early Majority) is the overall disruptiveness of the technology. To be successful in building a bridge over the “Chasm” you may need to tone down your “disruptive” messages. Build a roadmap that gently walks them over the bridge step by step, given them reassurance along the way. Do You Know Your Andres? There is a grocery store a few miles from my house. It’s small and older, at least thirty years in its current location. Usually, the shelves are poorly stocked with a limited selection compared to the newer stores surrounding it. Despite these facts, the store manages to stay in business which is somewhat hard to comprehend given the cut throat, low margin nature of the industry. It survives because it has a secret weapon. His name is Andres. He’s a cashier and has been at the store for twenty plus years. Andres speaks five languages and knows most of the customers by name, typically, greeting them in their native language. He knows where everything is, or isn’t, and if it’s not there he knows when it will arrive. He is the store. While some customers, like my wife, frequent the store because it’s convenient, and quick, as long as the item is on the shelve. The majority of the customers go because of Andres. The store is in an affluent international neighborhood with many retirees. These core customers have time to shop and chat with Andres. For them, a trip to the store is an experience, not an errand. I haven’t seen the numbers, but I would guess that the revenue per square foot is why it survives. The interesting thing, having worked with B2B companies for the past twenty years, is that many of my past clients also have an “Andres.” His, or her name may be different, but their role inside their organizations are not unlike Andres. They know the customers, how to get things done, where the “dead bodies” are buried, and how to navigate the complexity of the organization. They are the company. As organizations rapidly move to “digitalization” and look for AI to play a larger role in customer interactions, they need to consider the importance of these essential employees. 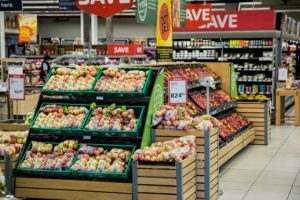 Like the grocery store, there are customers who may be highly profitable that aren’t doing business with your company because it’s convenient or fast. They are and have been customers, because of the experience. And a good portion of that experience is shaped by the “Andres” of the organization. Posted on July 20, 2017 July 20, 2017 Categories 2017Tags AI, artificial intelligence, bots, customer experience, digital, digitalizationLeave a comment on Do You Know Your Andres? Where does the sig nal to pull your hand away from heat originate? If your answer is the brain, you’ve already been burned. 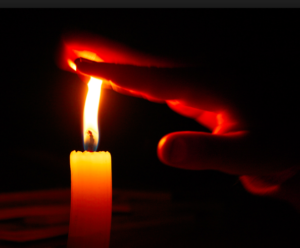 Instinctively, we pull our hand back without conscious thought, because the response to the stimulus takes a short cut and originates in the spinal cord because of the need for quick action. According to venture capitalist Peter Levine the need for this same type of short cut may be happening soon with computing. Mr. Levine said that he saw a shift in computing coming from the cloud (centralized) to the return of edge computing (decentralized) because the wave of innovations from IoT, and AI, are driving the need to have decisions made in milliseconds. As Mr. Levine points out, a connected car is basically a data center on wheels “it has 200 plus central processing units…doing all of its computations at the endpoint and only pass back to the cloud.” Just like you hand doesn’t have time to send a signal to the brain, autonomous vehicles need to react instantaneously to the situation. Data, insight, and now action, will be moving to the point of engagement in this future view. Now think about the potential challenges that present marketers in staying on brand, and controlling the message with thousands, or even millions, of touchpoints acting independently. Today, the best messaging and value proposition work can (and usually does) go off the track the moment it makes its way to sales and service reps. Marketers live with the daily issue of cross channel attribution, add cross channel communication to the mix and we better have really good tracking tools! Sure, we can pre-set the messages, designed algorithms to present them at the right moment in the buying cycle, but controlling and tracking the delivery of each message in the context of an overall brand story will be the challenge. And keep in mind, machines aren’t the only things that learn. As research has shown, the buying process is a highly emotional roller coaster. With machines entering the process we risk driving efficiency at the expense of dehumanizing the experience. As machines learn, we also begin to sense whether we are dealing with a human or a machine. For example, do you really get the “warm fuzzies” from all those “HBD” messages on Facebook, or the “Congrats on the New Job” on LinkedIn? Machines have been great at helping us be more informed, but they have also have made it easy to turn highly personalized interactions into transactional tasks, void of any emotional connection. As the next wave approaches, we should be cautious on how it is applied to the buying process. The focus should be on making humans more human, becoming more instinctive, so potential customers don’t get burned.